Fruit is such a great way to have something delicious and nutritious at the same time. But the process of getting to the eating part is tedious, isn’t it? First you wash the fruit, then you peel it, then you slice it and then finally you eat it. This becomes a hassle when you think about eating fruit. What if you could have the convenience of naked fruits, ready to be eaten? Dole is an all-natural brand of fruits. Unlike other ready to eat fruit brands which contain syrup and added preservatives, Dole fruit cups have real, peeled fruits, in 100% real fruit juice. It is a single serve, ready-to-eat, convenient cup of fruit that provides a healthy snack option for busy 20-40-year-old office going women, who are conscious about their health and wellbeing. 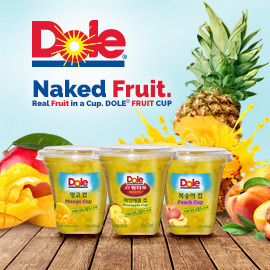 In this age of instant gratification, where convenience is of utmost importance, Dole fruit cups offer the convenience of naked fruits in an easy to eat format. Can you help us tell a story based on this idea?